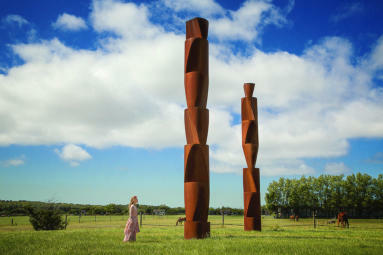 The Sculpture Park WALK, BREATHE DEEP, DREAM Visit the openness of Nova's Ark Project. .. sculptures that reach to the sky, nature preserved, grazing animals and calm surroundings. Let your imagination run free. Enjoy a peaceful stroll or a pause at the pond. Nova's sculptures majestically populate the grounds, creating a dream-like conversation between art, nature and cosmos. 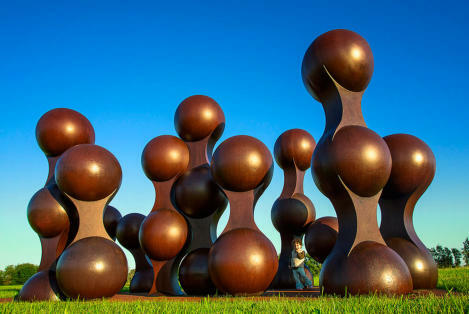 Art Critic Coriolan Babeti: "This Sculpture Park opening is a unique event in the U.S.A. There is nowhere else you can go and see works by one artist of this magnitude .... This kind of show, by a single artist, is a sign of an impressive dedication. He kept a deep devotion to his art for 30 years and refused personal shows at museums and galleries during his peak creative period. This allowed him to keep an open mind for his art. I think this is a very impressive moral for artists." The Sculpture Park WALK, BREATHE DEEP, DREAM Visit the openness of Nova's Ark Project. 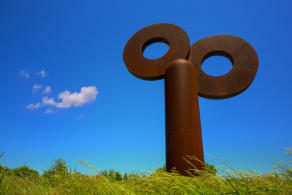 .. sculptures that reach to the sky, nature preserved, grazing animals and calm surroundings. Let your imagination run free. Enjoy a peaceful stroll or a pause at the pond. 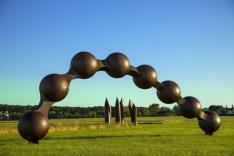 Nova's sculptures majestically populate the grounds, creating a dream- like conversation between art, nature and cosmos. 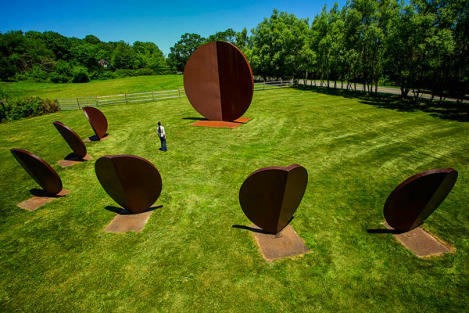 Art Critic Coriolan Babeti: "This Sculpture Park opening is a unique event in the U.S.A. 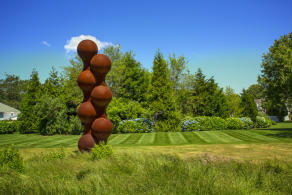 There is nowhere else you can go and see works by one artist of this magnitude .... This kind of show, by a single artist, is a sign of an impressive dedication. He kept a deep devotion to his art for 30 years and refused personal shows at museums and galleries during his peak creative period. This allowed him to keep an open mind for his art. I think this is a very impressive moral for artists."